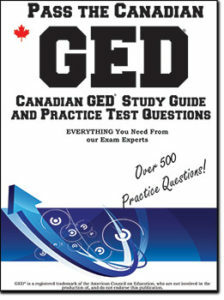 Take the Guesswork out of Passing the Canadian GED®! Jennifer and Amy are aspiring nursing school students. They’ve met all the entrance requirements. They have great recommendations. All that stands between them and their High School Diploma is success on the GED® Exam. Jennifer had always been a good student. She did okay on tests in High School and figured the GED® would be like that. Besides, she heard that you couldn’t really prepare for the GED® exam. She fit in some studying (in between her favorite TV shows). But as the test date approached, she got a nagging feeling that she should be doing more. When she got her scores, Jennifer had been proficient in some areas, but scored very low in Language Arts which had always been one of her strongest subjects. She was also surprised at how unprepared she was for the Reading section. Amy, on the other hand, knew she had never been a great test taker. In fact, she had always found them stressful. She had to work very hard to get the grades she got. She knew that “seeing” what the test looked like would boost her confidence. Armed with practice tests and a focused study guide, Amy quickly realized she knew more than she thought and was able to focus on the areas where she needed help. When she took the test, she scored proficient or higher in every area and confidently took the next step towards admission to Catholic school. The GED® is not a test of general knowledge. That’s the common trap that the “Jennifer’s” fall into. They think that it’s simply about what they know. As a result, they rely on what they’ve already learned. And that’s why many students, even ones who make the Honor roll, frequently do not achieve the scores they need the first time they take the GED® test. And some, unfortunately, never do. WHY IS THE GED® DIFFERENT? The GED® is specifically designed to identify students who are likely to succeed. It tests your ability to apply the critical thinking skills – NOT your memorized facts. You need to know how to apply what you’ve learned to the questions being asked. That requires a different way of studying. One that’s tailored to material you’ll find on the actual test. In our fictional example, Jennifer may still reach her goal, but she will have spent more time than she needed to. On the other hand Amy, by realizing her strengths and weaknesses, was applying critical thinking to her test preparation. As a result, she met her goal the first time. AND WITH OUR GED STUDY GUIDE AND PRACTICE TEST QUESTIONS YOU CAN TOO! 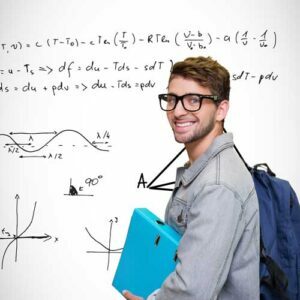 At Complete Test Preparation, Inc., we specialize in creating study aids that are painstakingly designed to the specific test you are preparing for. Members of our team combine years of teaching experience, with experienced writers and editors, all with advanced degrees (Masters or higher) As a result, we can offer several important benefits as you prepare to take the GED®. Like any test, your degree of success on the GED® depends largely on knowing how to study for it. Now, I’m not talking about burning the candle at both ends. In fact, our goal is to have you studying less not more. Nor are we asking you to spend hundreds of dollars on study guides. Our material is available for a less than the cost of a good pair of running shoes … more on that in a moment. Amy understood the same thing that many successful GED® takers understand. The more questions you see, the more likely you are to pass the test. 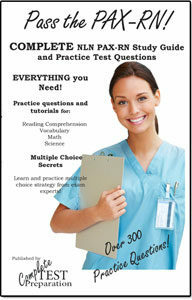 And between our study guide and practice tests, you’ll have over 400 practice questions that cover every category. You can fine-tune your knowledge in areas where you feel comfortable and be more efficient in improving your problem areas. Our test has been developed by our dedicated team of experts. All the material in the study guide, including every practice question, is designed to engage the critical thinking skills that are needed to pass the GED® Exam. They will not be the exact same questions you’ll find on the exam, but they are similar. And like the GED®, the practice tests are weighted differently so you will be exposed to questions in all areas. Yes, I Want to do Everything I can to Pass the GED® on the First Try! How do I get Started? Simply click on the link provided to take your first step towards GED® success! Complete GED™ Study Guide including hundreds of pages of tutorials, Self-Assessments, 2 sets of practice test questions including Reading, Mathematics, Algebra, Geometry, Language Arts – Writing, How to write an essay, Science and more. 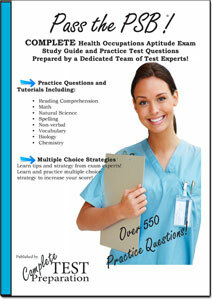 If you are a non-profit or volunteer organization we can provide test preparation materials at no cost. Please contact us with information about your organization. 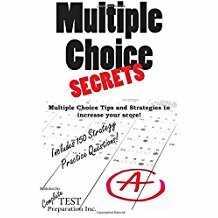 I’m a communications teacher at an Ontario community college, and I teach a number of students who are preparing to write the GED. I know that the US agency that gives the test changed the format of the required essay about four years ago to one that asks the student to respond to a prompt rather than simply giving his or her opinion on an open-ended question. Do you know if the Canadian agencies are planning a similar change in the near future?